This fully integrated dishwasher by Prima combines style, usability and affordability. with the capacity to wash up to 14 place settings in one go, this machine is perfect for those larger family meals and gatherings. 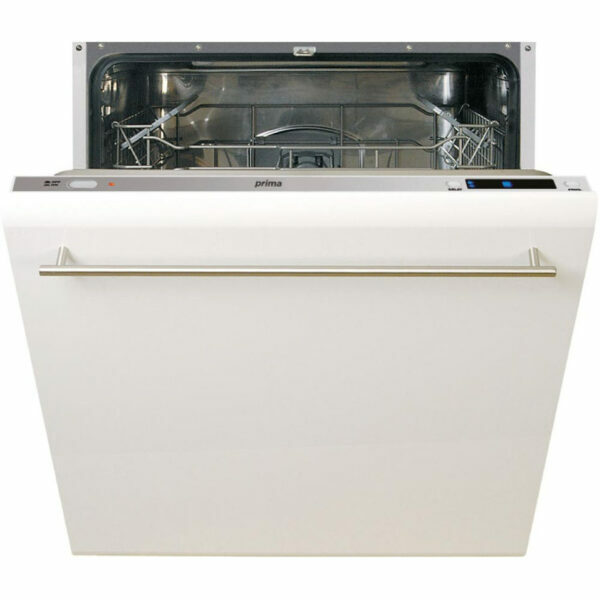 This Prima branded appliance is a large dishwasher for upto 14 place settings. Integrated for use within your own kitchen door range, this fits to the fascia and hides the dishwasher for a modern, sleek finish. Many functions include a delay timer option, 7 programmes & 4 temperature settings. A 30 minute rapid wash, 3 spray levels & a 11 litre water consumption. This machine also boasts an A** energy rating saving you money and helping make a difference to the environment.